I can take the messing about with Greek mythology. We’re used to the BBC playing fast and hard with legend – look at the hugely successful Merlin and you can see quite clearly it didn’t put millions of viewers off either. 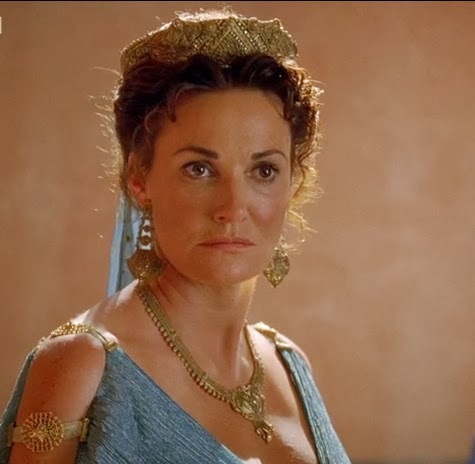 Yet each time I watch an episode of Atlantis and despite coming back for more the following week, I do feel that the BBC have missed opportunities here which are on the verge of unforgivable. The one recurring thought I get is about strong lead female characters (girls in the title of this post but only for alliterative purposes!) – or rather the almost complete lack of them. Jason may (or may not?) have traveled back in time. Yet each episode I watch I feel I should be checking my own calendar to make sure I haven’t suddenly appeared sometime in the mid-1970s. You know, the time when our TV screens were full (and dull) of dramas which were virtually completely male in terms of the acting leads, alongside the associated testosterone packed action. No, I am not forgetting Wonder Woman, Charlie's Angels or indeed The Bionic Woman. Take a second to think about what sold those shows to the men in the audience. I fully realize that eye-candy (of both genders) is important in capturing an audience but television (and society) has moved on since the 1970s. Yet the women in Atlantis just seem - for the most part - like dressing. Atlantis is awash (see what I did there?) with weak and watery women. Jason (ably played by Jack Donnelly, despite getting second billing to Hercules, played by Mark Addy), has a love interest - it wouldn't be Saturday night without a little romance. However, Ariadne (the criminally underused Aiysha Hart, above) is, of course, the Atlantean version of the princess in the tower. She keeps having to be rescued from sticky situations by the three main male characters – and that despite the fact that they’re not terribly good at it. What Ariadne is good at, however, is simpering and looking very, very worried. Not only that, she has recently disappeared off the screen entirely. Jason was heartbroken in episode 7 when she was betrothed to Heptarian but when that was all sorted he seems to have promptly forgotten about her. Ariadne has been missing from the following three episodes and unless I missed it, Jason hardly name checks her. It seems they are fickle boys, these pseudo-mythological heroes. 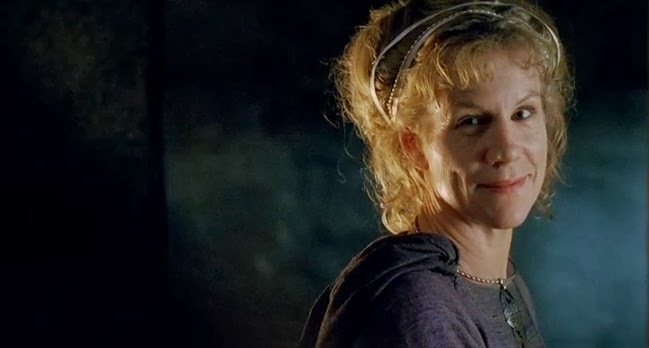 Juliet Stevenson is in fine form as The Oracle but seems tied to the oracular kitchen sink and we don’t get to see her outside of her temple home at all. Sarah Parrish as Pasiphaë (below) drips evil and sneers very well but has also vanished from our screens, no doubt taking a well-earned spa break from all that plotting and planning. As for poor Jemima Rooper (top picture) who plays Medusa; for an actress who has made her mark by playing gutsy women, Atlantis must be heart-breaking. 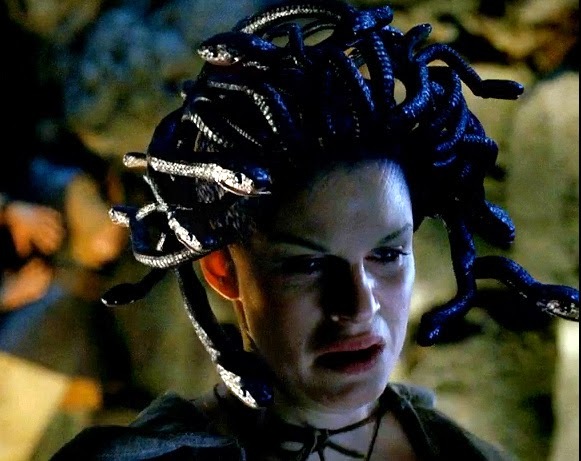 The minute that her character gets something interesting to do, that is sprout snakes from her head and start turning people to stone with a single glance, what happens? She gets to run off to a cave to hide until ‘the boys’ can find a cure for her condition. The list goes on. When feisty female characters are introduced, such as the bull jumping Elpis in the episode A Boy Without Consequence or Ariadne’s servant girl Korinna, they are bumped off before they can establish their characters fully and properly. 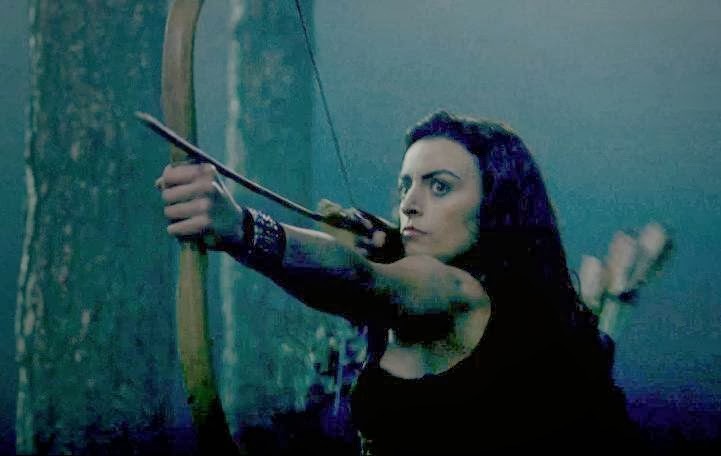 In the latest episode we are introduced to Atalanta, a servant of Artemis who is pretty nifty with a bow and arrow. I am fairly sure what is going to happen to her! 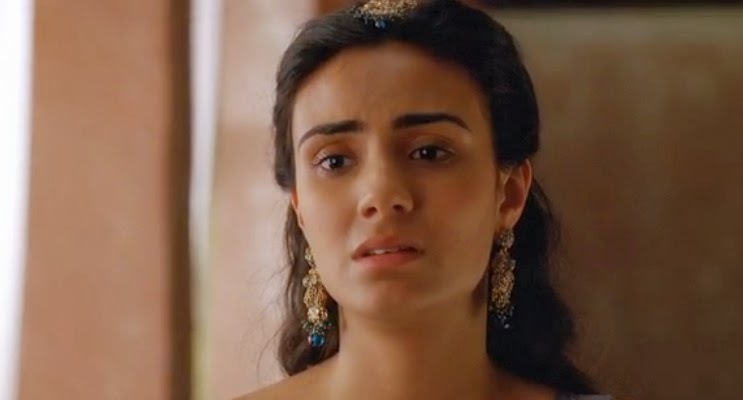 What is disappointing is that after Merlin, which showed once and for all that the female characters could become focal and interesting (and do a bit of rescuing of their own on occasion) Atlantis seems to have taken a retrograde step and side-lined the women for the sake of the (often bumbling) antics of the men. I don’t expect Alice Troughton, who has directed half the episodes in this season, to be a flag-waving feminist but with her presence at the helm one may have anticipated more effective female leads, all thing considered. My second gripe is this (and I will make this one shorter, I promise!). We are getting our (not quite) fair share of mythological beasts in Atlantis. So far we have had the minotaur, the Furies and Campe among others. 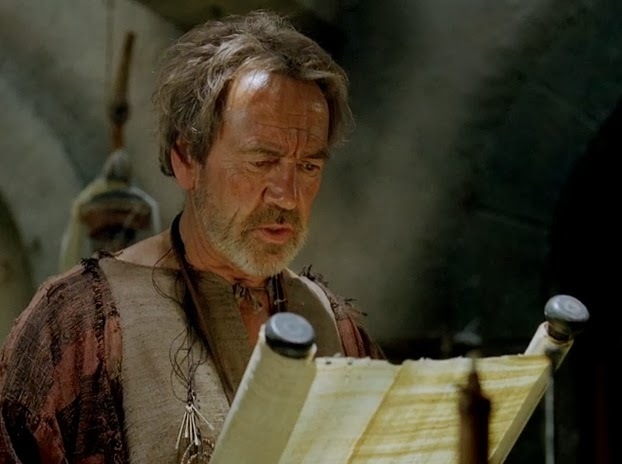 Even the people of lore are making an appearance, including Oedipus, Circe and Daedalus (an entertaining appearance by Robert Lindsay, which hopefully paves the way for an episode featuring his son Icarus and their attempt to fly). As I said before, I am willing to overlook the messy mythology and mix-and-match between legend and reality (Pythagoras being the prime example). But where are the gods? I know that the makers probably don’t want to seem like an imitation of a Ray Harryhausen movie such as Clash of the Titans or Jason and the Argonauts. Yet surely by raiding the Pandora’s Box of Greek mythology as they have done, this would demand the inclusion of the capricious and often vengeful gods of Mount Olympus? Or are they playing safe in case a section of the show’s American audience might disapprove of false gods made flesh on their TV screens? Perhaps the gods are yet to make an appearance but if so – get a move on! So, all in all I do enjoy Atlantis – honestly! It is beautifully made, often thrillingly entertaining and the male leads are always good fun. However, these two bugbears (especially the former) are what have stopped me from really immersing myself in this alternate reality take on Greek legend. Talking of which, I wonder what the Greeks make of it? All pictures are screenshots from the episode The Price of Hope and are used for illustrative purposes.